Happy Wednesday everyone. 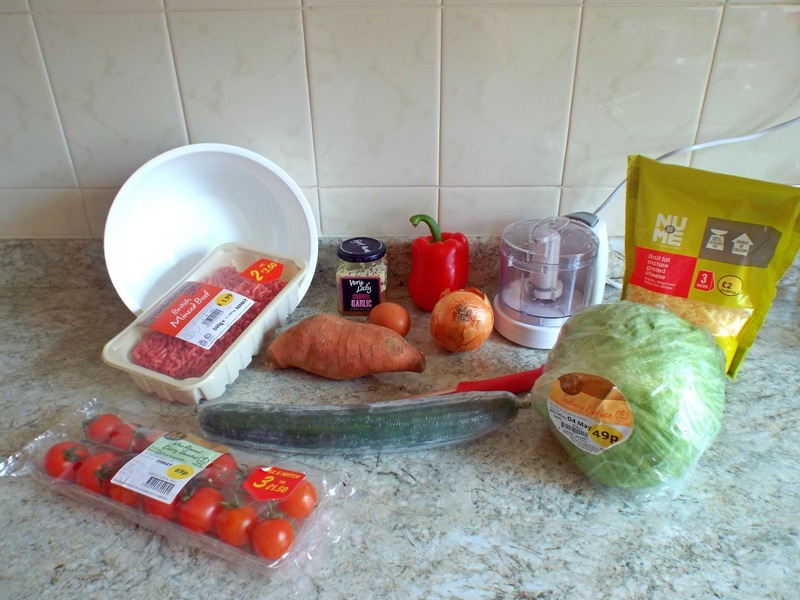 For today's post I thought I would share with you one of my families favourite homemade and healthy recipes which I made over the bank holiday weekend. Everyone loves a good burger in the summer whether it be on a BBQ or just in the home and this is sure to be loved by everyone old or young. 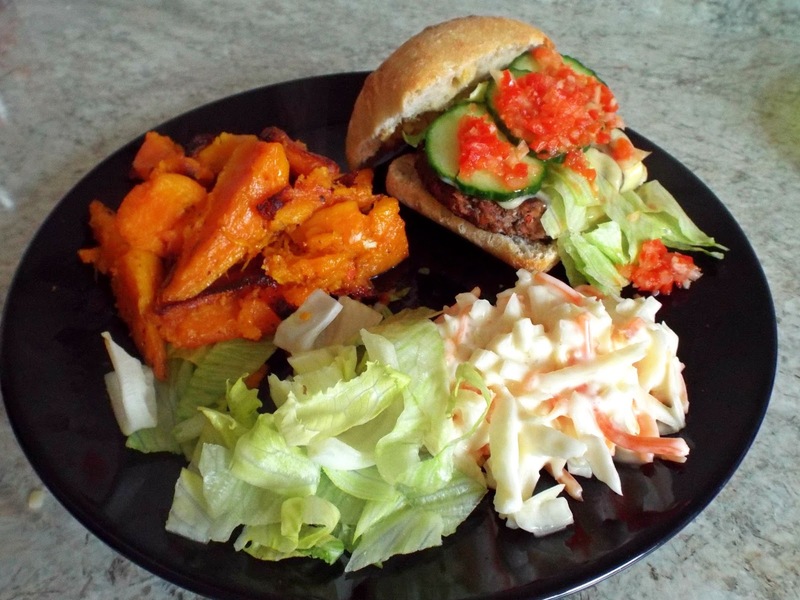 Its a great alternative to the unhealthy packaged burgers you find in the supermarket but also cheap and easy, what more could you wish for. 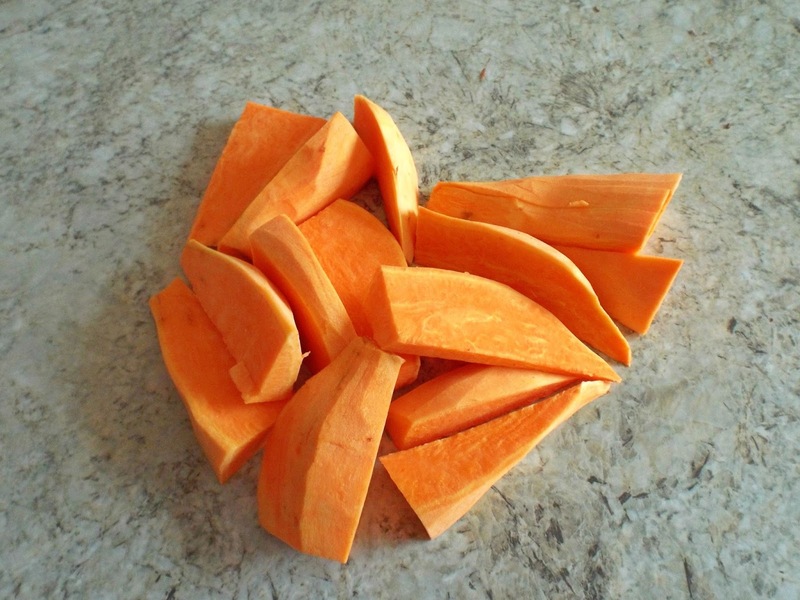 I've also added an extra side recipe of sweet potato chips to make this dish even healthier. See below for step by step instructions for both of these recipes. Herbs and flavouring's of your choice, I used garlic, mixed herbs and a splash of ketchup. Price per portion is calculated on products I bought from Morrison's. 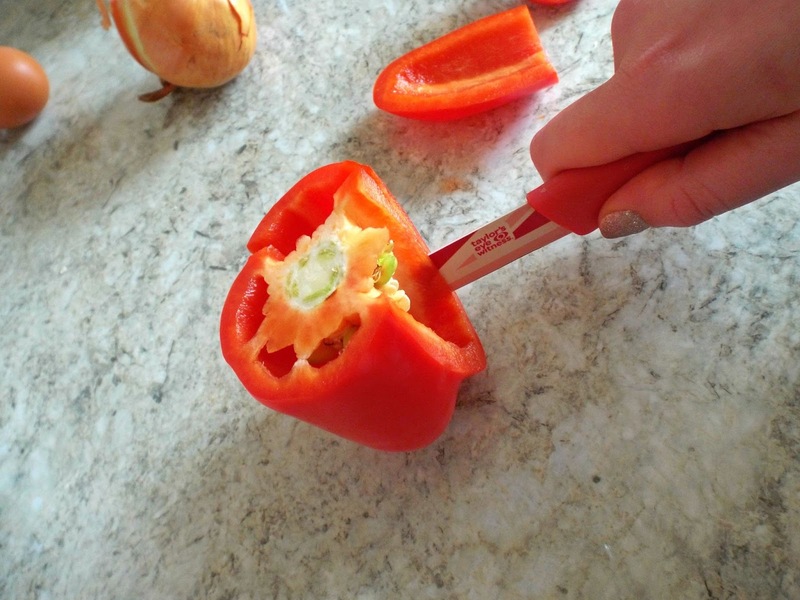 Firstly slice and dice your pepper and onion the smaller the better as you don't want your burgers to be lumpy. 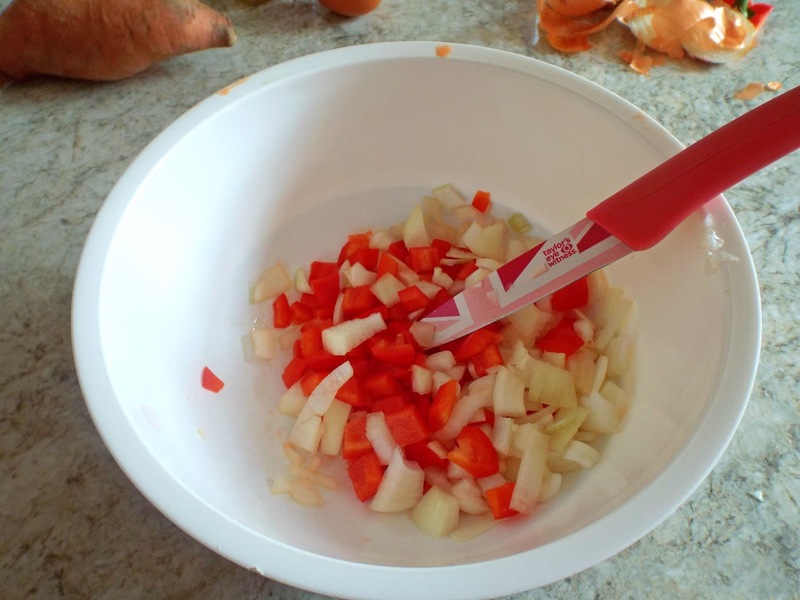 TIP: If you find chopping onions reduces you to tears, rinse them under cold water to remove some of that sting. Next you want to add in your choice of herbs. 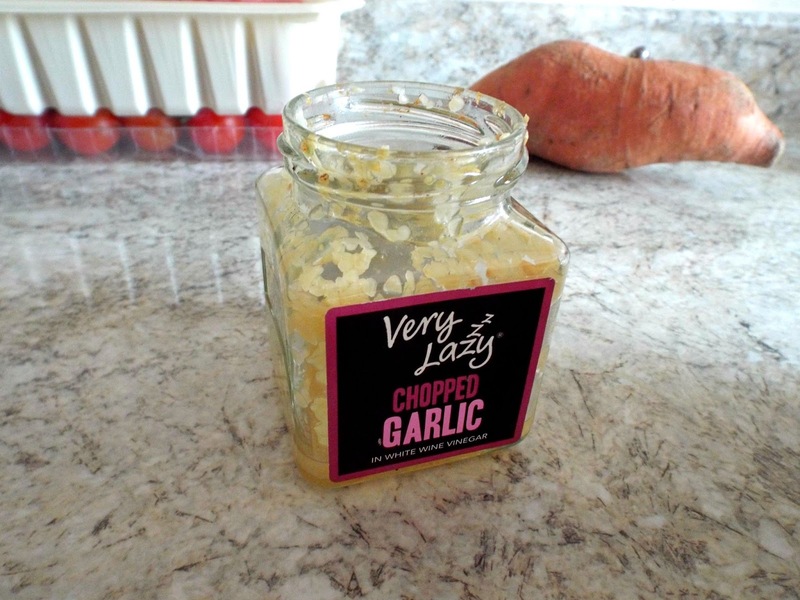 I was extremely lazy and used this ready chopped refrigerated garlic. It saves our family load's of time and money. We are all lovers of garlic and find having it ready done in the fridge really easy when making homemade foods from scratch. You can use garlic in pretty much any recipe as it helps bring out the natural flavours in the food your preparing. This stage is optional but I find it works really well in to make super soft burgers. 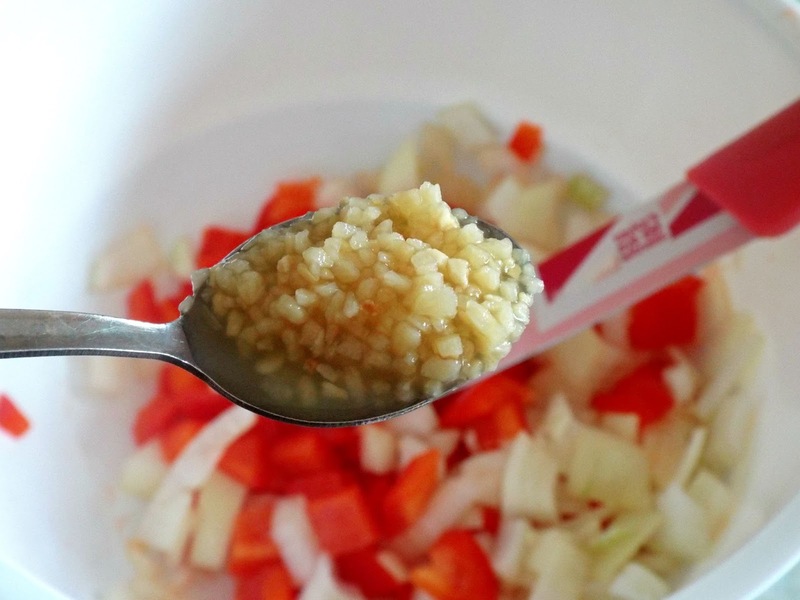 I usually blend my pepper's, onions and herbs in a mini blender to get them as small as possible. 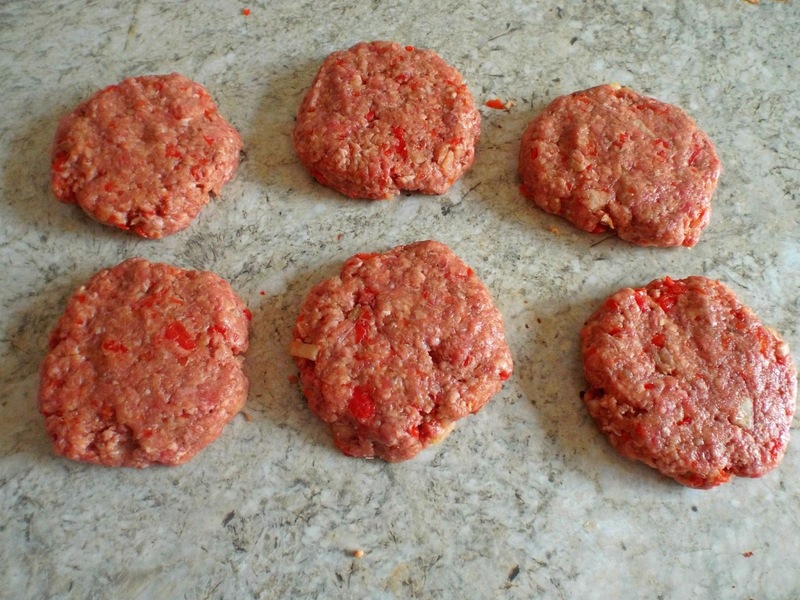 It takes only a few seconds and can really improve the texture of the patties. 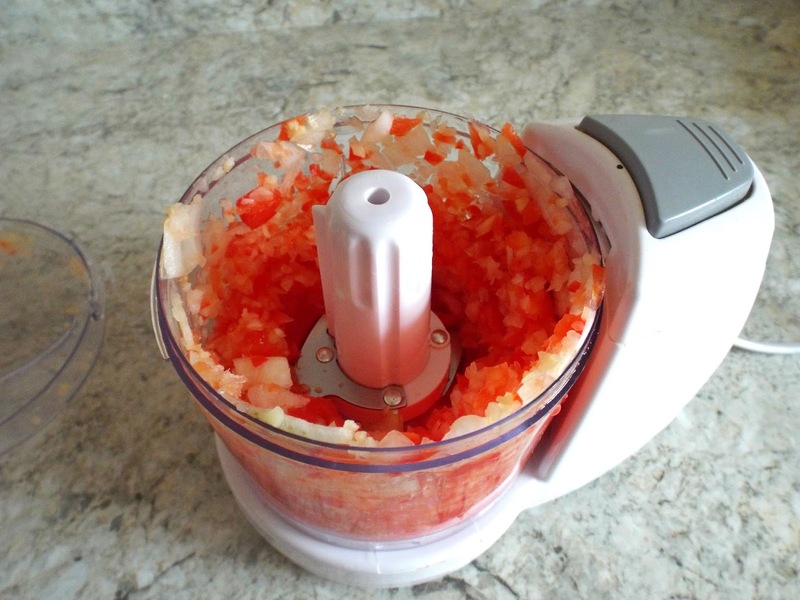 TIP: If you have any diced ingredients save them for later they will make a lovely fresh salsa. Once you feel you have all your ingredients sorted your on to the messy part, mixing. 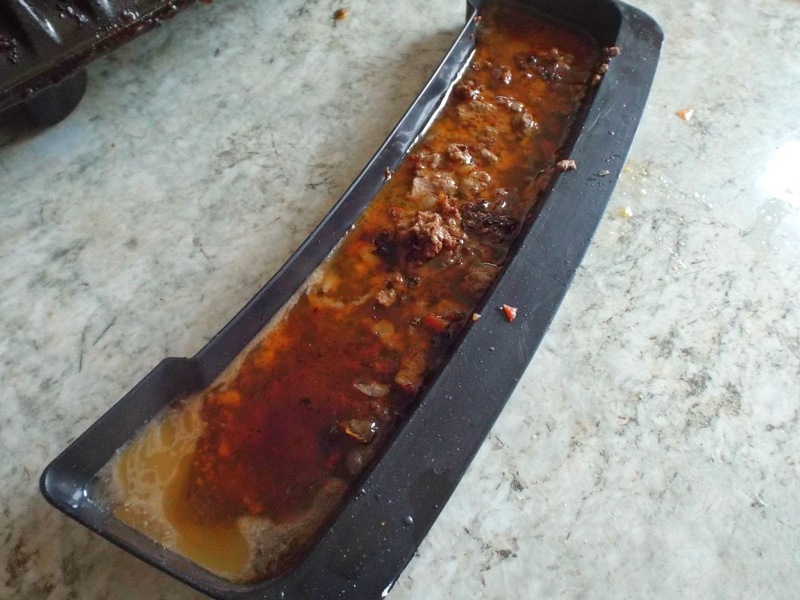 There is no other way to do this than get your hands stuck into it. 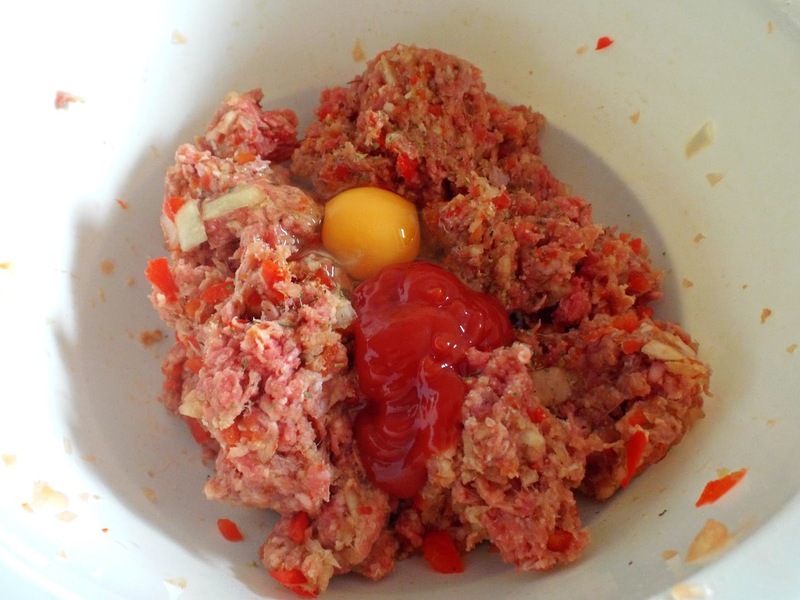 Mix together your Mince meat, chopped ingredients, 1 medium egg and any sauces you want to add in a bowl, make sure you really blend all those ingredients together. I choose to add a little ketchup at this stage too, yum yum. Once your happy with your hand blended mixture you want to form you patties. Split your mixture into equal parts and shape into the size you require. That's it your all done. Easy peasy isn't it. The way you cook your burgers is entirely up to you and how healthy you want these tasty patties to be. 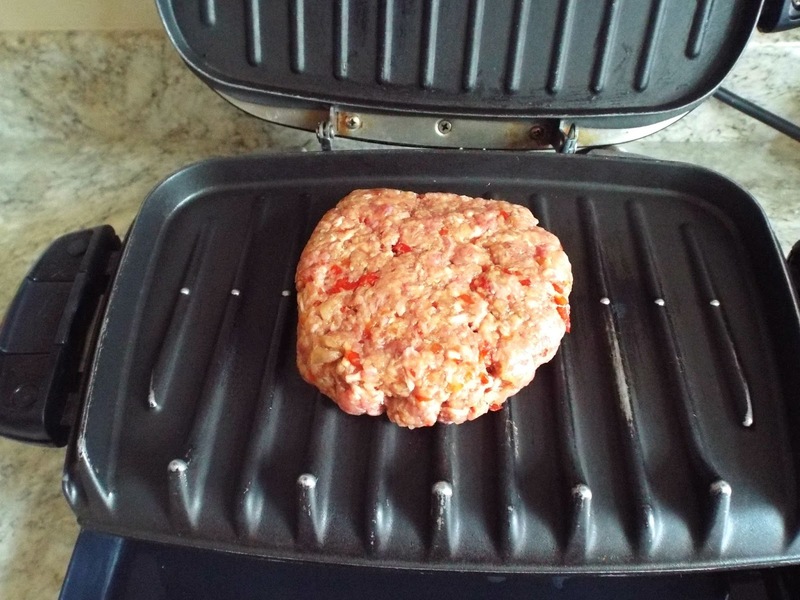 I choose to use my George Foreman grill It helps release all the bad fats in the burger but still keep them juicy, you can BBQ, grill, pan fry or even oven cook your burgers if you wish. No matter where you cook them make sure there cooked all the way through especially if there for little ones. Bleeeuuuuurrrggghhhh, look at all that fat the Foreman grill caught!!!!!! While your waiting for your burgers to cook slice up all your ingredients for your burger topping. 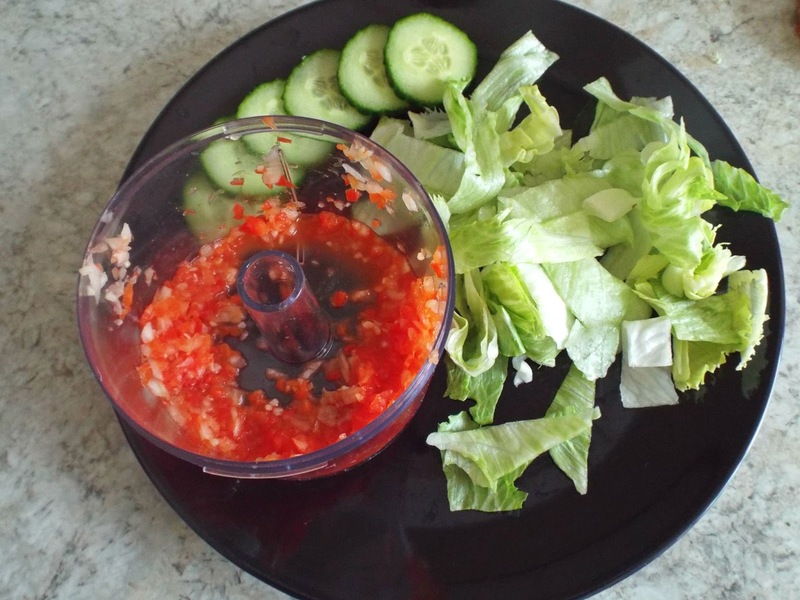 Fresh lettuce and cucumber make a lovely crunchy topping especially in the summer months. Remember how I said to save those onions and peppers? Well here's your chance to use them up either mix in some chopped tomatoes or tomato ketchup to make a fresh salsa for your burger. Delicious! 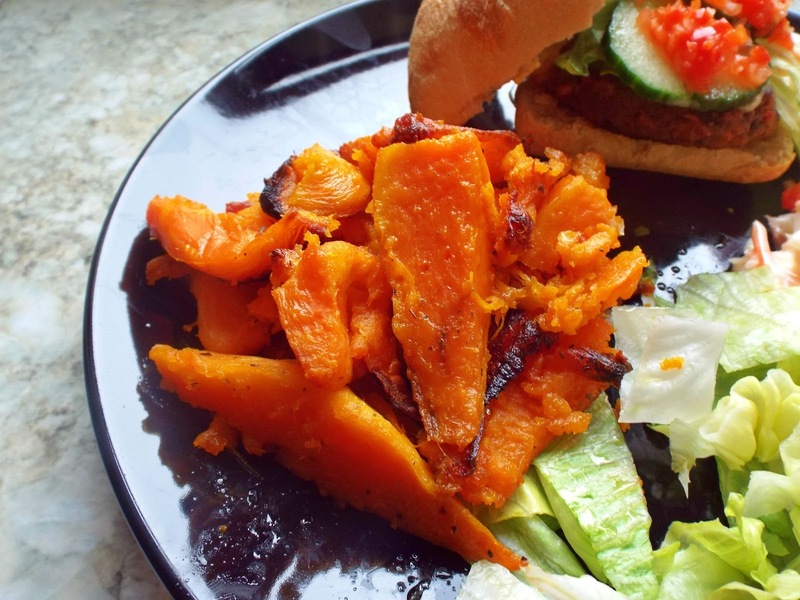 So you want to make some sweet potato chips, there a yummy side to your healthy burgers and honestly more Delicious than chips. 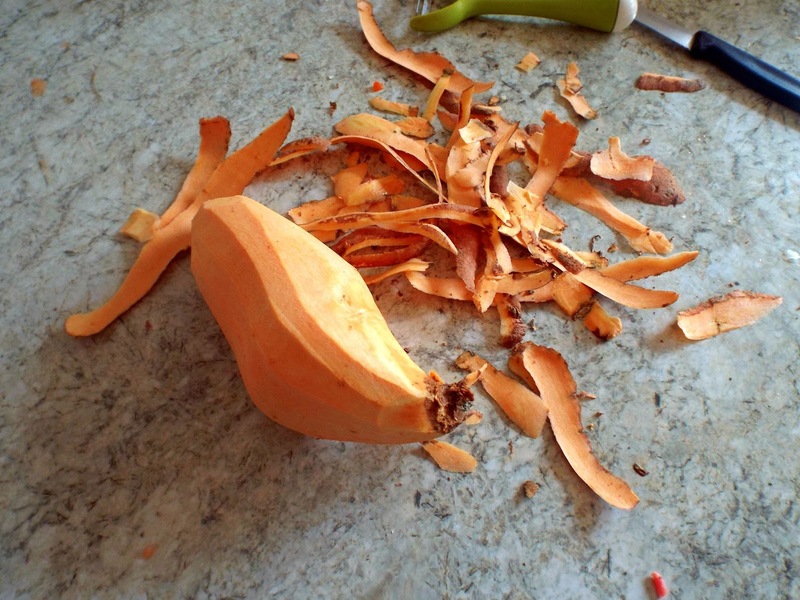 Firstly you want to peel your potato, see told you it was easy. Next chop up your potato in to chip size pieces. Don't worry about shape and size too much, sweet potato's come in such strange and wonderful shapes that its hard to get the size just right. 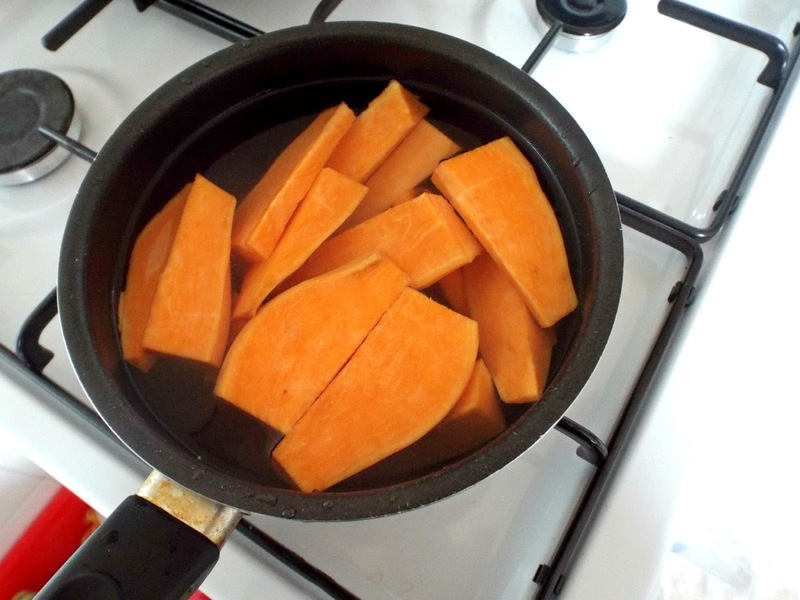 Next place your sweet potato's in boiling water for around 15 minutes or until soft. Once your potatoes are soft drain off the water using a colander. To crisp them up you will need to add your potatoes to a baking tray with a little bit of oil. Stick them in the oven at around 200 degrees or gas mark 6 for around 15-20 minutes but if you like your chips extra crispy then hey leave them in a bit longer. Wow look at them....... my mouth is watering just writing this post. Sweet potato's are much healthier than white potatoes and sooooo much more tastier. 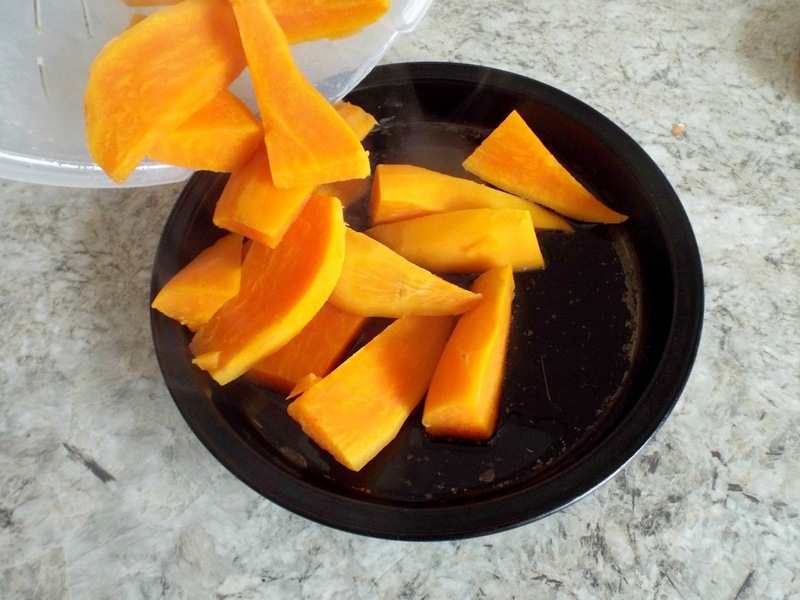 There great for picky little ones too as when roasted it brings our there naturally sweet taste. I want to say a huge thank you to Morrison's for letting me be a part of #morrisonsmum. I've never been a one supermarket type of girl but truthfully Morrison's was always last choice, I found it old and expensive compared to other supermarkets. However it seems Morrison's also realised this and have now re-vamped there stores making them a much more enjoyable place to shop. They had so much fresh produce in store I found myself picking up very little ready packaged food's, great for the weight and health of my family. I heard they were making some drastic permanent price cuts and these really were visible around the store and un like some places who class a price cut as £0.01 Morrison's has actually cut a lot of penny's and once I hit the till I could really see the difference. My weekly shop which I was expecting to be around £120 was actually only £94 and boy did I buy a lot of food. From going to there store It is now going to be going to the top of my list on those weeks when I really need to stock up. If you haven't been to Morrison's for a while then pop down to your local store and see what you think. All the ingredients used in this post were from Morrison's using vouchers they had provided but the recipe is completely my own. I hope you all had a lovely bank holiday weekend. 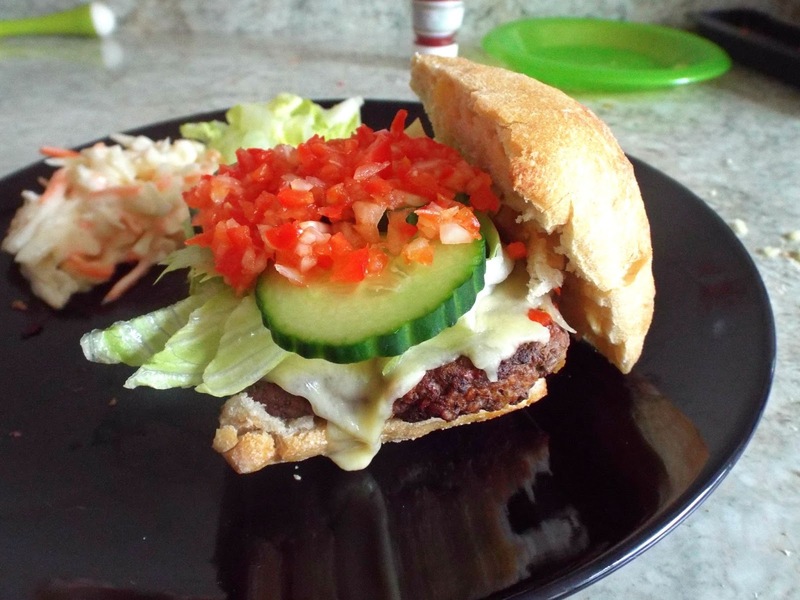 Let me know if you give these burgers a try and if you like to see more healthy recipes? This looks like a brilliant recipe I will have to try it out. Especially the Sweet Potato Chips!